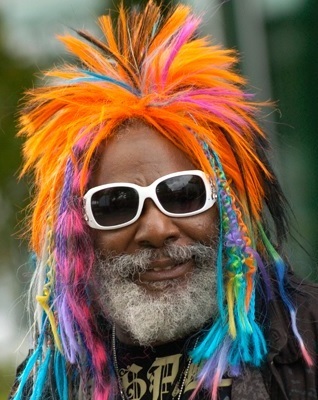 There was a time when Boston, a little snow, and George Clinton would a have had an entirely different meaning. 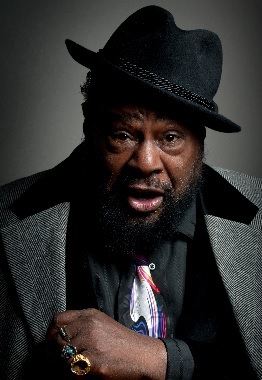 George has traded his rainbow-colored dreadlocks for a natty three- piece suit, but he is still the King of Funk, even though he is well into his seventies. Could a blizzard keep the Funk from Beantown? “Hell, No!” the opening band, Nephrok! All-stars, chanted. The Massachusetts Governor called the brewing blizzard a “Cinderella storm”— stay off the roads, but if you have to go out, make sure you’re back home by midnight”, he sternly warned..
George and the Parliament (which included several of his grandchildren) gave the crowd at the House of Blues much more than a traditional Valentine treat. It ended early enough for fans to still get home before turning into frozen pumpkins. Warm Tallahassee is a long way from the city under siege of what USA Today calls the “Snowiest month on record”. Boston snow is stacked up everywhere, causing traffic to be rerouted and humongous parking problems. If that were not enough, the beleaguered MBTA Transit system struggles to stay operational amid frozen rails and suspended service. Workers who rely on the MBTA to get to and from work are left to their own devices. Logan International Airport fares no better with cancelled flights, delays. Even when it is open, poor visibility on snow-covered tarmacs, aggravated by nasty wind, made travel far less than satisfying for those ‘lucky’ enough to get in, or get out. With more storms on the horizon, the Boston area heads for record levels of snow. What was once beautiful, crunchy, flaky excitement is now greatly stressing everyone and everything. Snow plow drivers, eager to get into the first storm weeks ago, are running out of steam. Dreary homeowners are tiring of the rigorous raking of their roofs, just to keep them from collapsing. It is everywhere, piled high, its early luster now gray. There is just nowhere left to put the masses of snow. Even hauling snow away is getting hard to arrange as farmlands, so called snow farms, are overloaded with the excess. Like evil white dust, snow causes strange behaviors. The police blotter reported witchy activities in Salem. On investigating, the police were surprised to find it was only restless teens, enjoying the day off from school by jumping out of second story windows into the deep snow below. The police likely advised the teens to cease, or they’d put them to work shoveling snow. The teens, I am sure, reluctantly returned inside to their still toasty Xboxes and PlayStations. Did I mention parking? Snow brings out the worst. Disputes over parking spaces are the least of them. 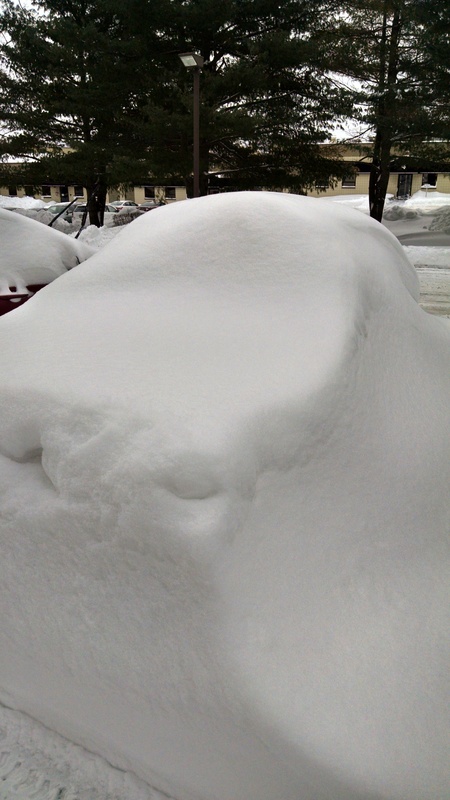 Just finding your car, when you have left it for any length of time, can cause unexpected problems. Can you spot the white VW bug in the attached photo? Not likely. 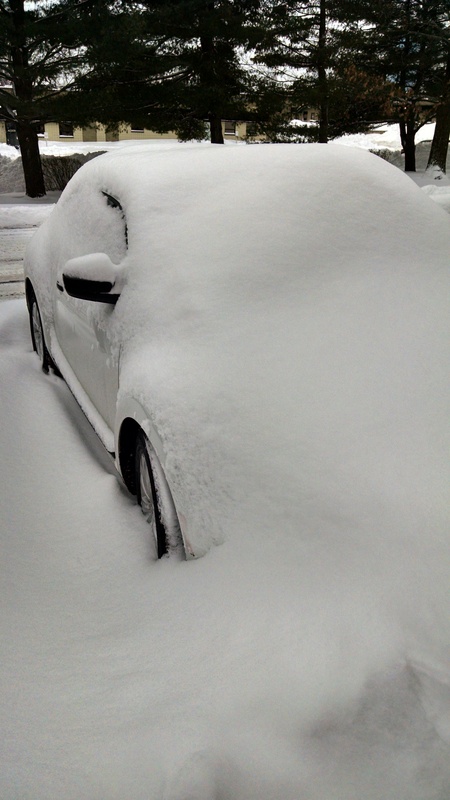 Forget where you parked your car, and not even your panic alarm will save you, as it pulses silently, unseen, under a blanket of white powder.